This Cacao and Pear Protein Smoothie is a perfect way to use extra pears that you may have, which is how I came up with the recipe. It’s really quick and simple to make with your Vitamix and only needs a few clean ingredients. I had recently received my first delivery from Farmbox Direct (they deliver organic fruits and vegetables straight to your front door), and my box contain 4 beautiful pears. I immediately knew what I was going to make with three of them and had one lonely pear left over so I decided to add it to a smoothie. 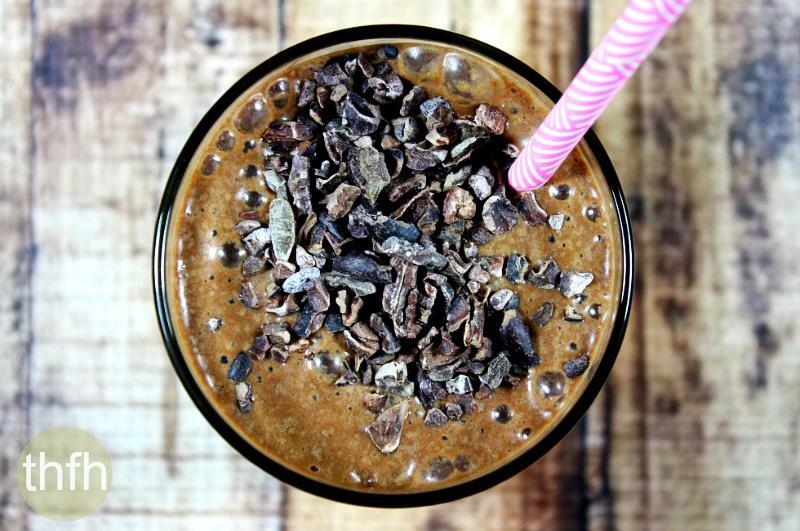 Chocolate (or raw cacao, which is what I used) seemed like the perfect companion and I added my favorite organic, raw, vegan plant-based protein powder to make it more nutrient-dense. The pear gave it the perfect sweetness and it was very filling too! And, it’s organic, raw, vegan, gluten-free, dairy-free, paleo-friendly and contains no refined sugar. 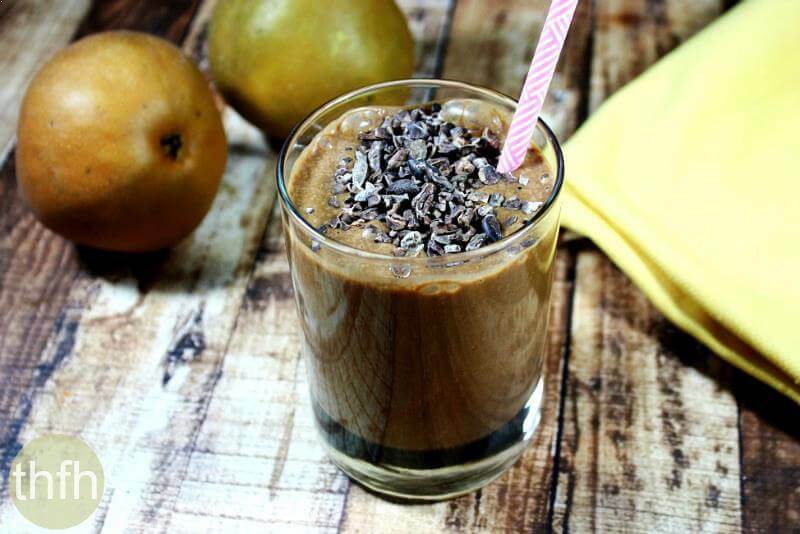 Want more healthy smoothie recipes? Check out Raspberry Acai Smoothie Bowl, Banana Mango Superfood Smoothie, Chocolate Peanut Butter Protein Smoothie, or my Clean Eating Cookbook with an entire chapter of 20 healthy, clean eating smoothie recipes just like this one that you will love! 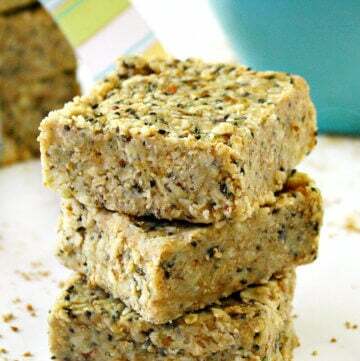 Tip #1: This is a perfect recipe to make with homemade almond milk! You control the ingredients and it’s completely raw and unprocessed (if you use organic, raw, unpasteurized almonds). Tip #2: I used one of my favorite organic, raw protein powders, but feel free to use 3 tablespoons of your favorite brand. Tip #3: Feel free to adjust the amount of raw cacao powder you use, depending on how deep of a chocolate flavor you like. Step 1 Prepare the pear: peel and cut the pear into cubes. Add all ingredients to a Vitamix and blend until smooth and creamy. 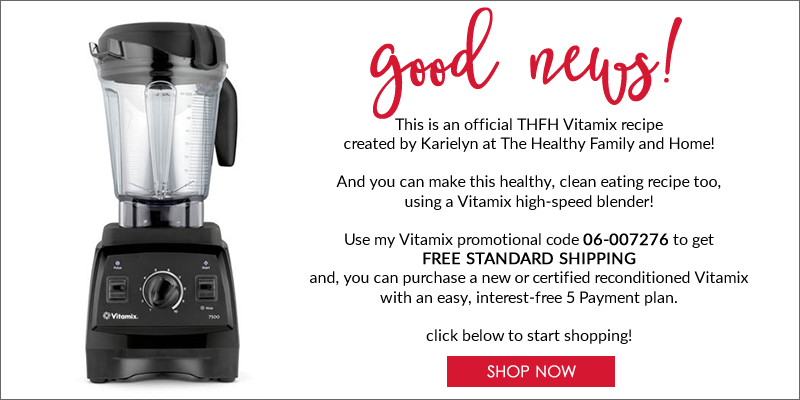 Note: I used the Vitamix Professional Series 750 Model with the "Smoothie" preset. This recipe will make 1 large or 2 smaller smoothies. 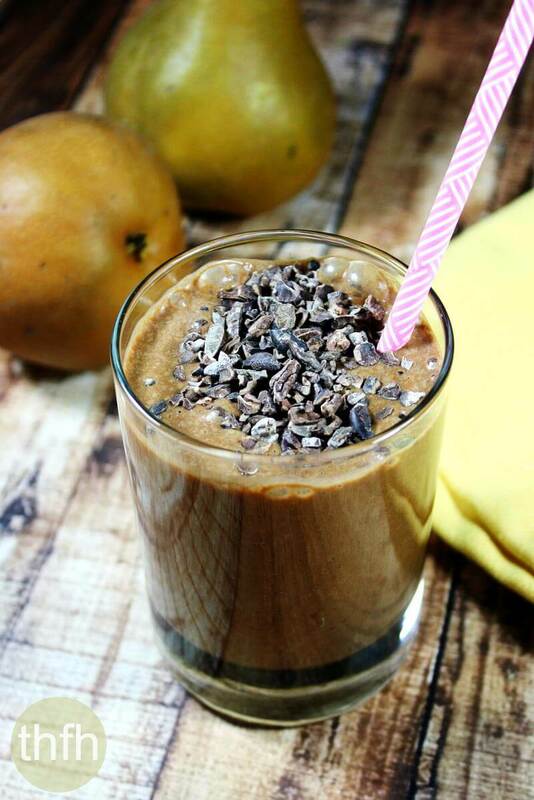 The recipe and photographs for "Cacao and Pear Protein Smoothie" by Karielyn Tillman of The Healthy Family and Home are licensed under a Creative Commons Attribution-NonCommercial 4.0 International License and cannot be used without my written permission. Awesome recipe Karielyn, I will try it for my mother.